As a booking agent for Richard Reed we can book for Richard Reed to inspire your guests. 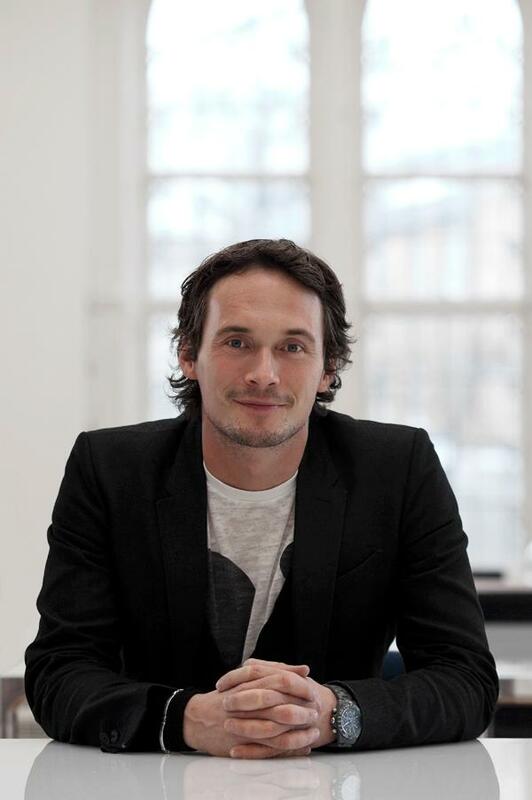 Richard Reed is an exceptional entrepreneur and the co-founder of Innocent Drinks. Book Richard Reed as an engaging keynote speaker for corporate events, telling his successful story with fun humour. Richard Reed’s story shows that with a non-corporate attitude, a genuine commitment to the cause and creative thinking it is possible to create a fast growing, profitable company that acts responsibly. Booking Richard Reed will go down a storm at your special event! 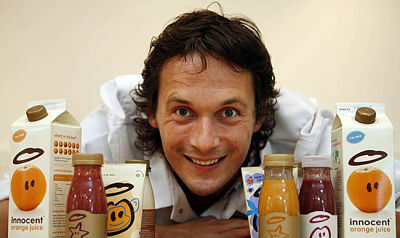 Richard Reed’s Innocent Drinks company is the UK’s fastest growing food and drinks company and the no.1 smoothie brand in the UK. 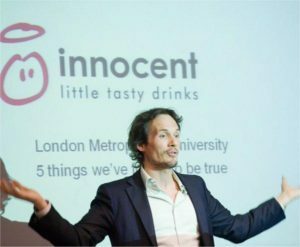 In 2006, Innocent Drinks employed 89 people, and had its little tasty drinks selling in over 6,000 outlets, over the next five years sustained growth has seen Innocent increase to a workforce of over 150 people and ever more increasing outlets for sales. 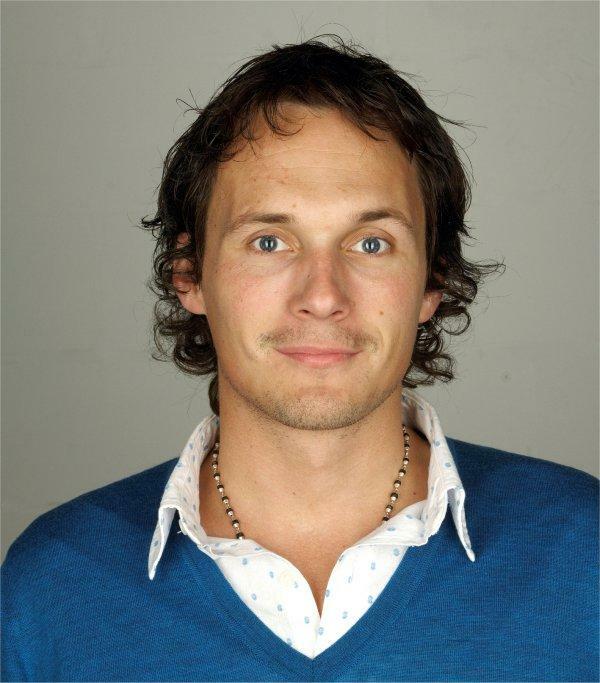 Richard Reed graduated from Cambridge University and worked in advertising for four years, setting up Innocent Drinks with two of his college friends. The men spent six months in the kitchen perfecting recipes and took their drinks to be tried and tested by the public. They bought £500 worth of fruit, whizzed it into smoothies, and sold them from a stall at a festival. They put up a sign that said, ‘Should we give up our jobs to make these smoothies’, and put out a big bin that said NO and one that said YES. Fortunately, at the end of the weekend, the YES bin was full so they went in the next day and resigned. Contraband is the UK’s top booking agent, with amiable, knowledgeable account managers who guarantee you the best deal possible. Contact us today if you would like to book Richard Reed to be the headline of your event! We as your booking agent are more than happy to help you create the most memorable moments with Richard Reed.